Today’s modern technology has created a vast demand for social media and all of its intricacies. When coupled with the adoption process, this new-age phenomenon can create both positive and complicated scenarios for all involved. As a top alternative to any adoption agency in California, A is 4 Adoption is here to help! Our adoption center strives to provide comprehensive support for birth mothers and adoptive parents alike. We focus on creating custom adoption plans that work in tandem to provide an optimal outcome for the child at the center of it all. 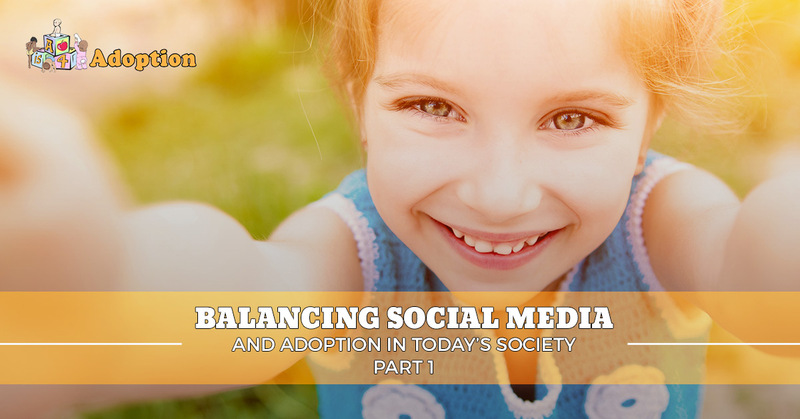 Today, we’ll begin to take a look at social media and its impact on open adoptions. We will start with the main benefits and drawbacks of utilizing this communication platform. As the involved parents, it’s important that you act respectfully before taking any action that may harm your relationship with the other family. Following some of the recommendations below may help you in the process. Openness and encouragement. The outdated stigmas attached to adopting a baby are now being ousted to make room for positive associations. You can utilize social media to announce your adoption plans to friends and family, creating a larger platform for others to support your decision while offering valuable insights and recommendations. Easier connections. While our adoption center works exclusively with birth mothers who we feel would benefit the most from our process, we understand that many people seeking open adoption can use social media to search for a child in need. As such, your quest for finding a child that needs adoption can be much more powerful when using social media to reach out. At the least, this powerful engine can put you in touch with helpful resources to make the entire process better. Better communication. Today’s busy lifestyle limits the individual’s ability to reach out and communicate with others. Once your birth parents or adoptive parents have been found, it can be helpful to start a correspondence online to build a relationship. With social media applications, users can communicate at their own leisure, reducing the stress of conversing with the other party in an emotional situation. Quality fundraising. The adoption process can be costly for many people, often discouraging well-qualified individuals from starting their adoption journey altogether. Numerous social media platforms provide an easy starting point for raising funds to cover the costs. Sponsoring events and drives can help you to find the money you need to start the process. Oversharing. Many social media users are able to share their private thoughts and feelings with ease. While this can be great for communicating with others, it also means that interested parties can more easily locate much of your private information online. As opposed to past processes, both parties involved can now look the other up with ease and collect information that may be considered private. From political affiliations to religious beliefs, there are some aspects of your life that may be best kept private while going through the adoption process. Unwanted contact. The use of social media also means that you will be easy to find and communicate with online. While A is 4 Adoption is happy to see the adoptive parents and birth family communicating for everyone’s overall benefit, we understand that not all situations are the same. Regardless of your affiliation, you may not be comfortable with continual contact with the other family. This part of the process can be very tricky and will require strong efforts from all of us involved to create a beneficial dynamic. Privacy problems. Social media has taken great strides when it comes to protecting people from privacy issues. One major concern that comes to mind is the lack of control when it comes to information sharing. A growing issue occurs when adopted children are able to find their birth parents online. Conversely, birth parents may reach out to their child at a later date, possibly causing major issues within the family structure. When it comes to social media and adoption, caution and communication are the best means of avoiding issues. If a certain action feels like it will end up hurting one or all of the parties involved in the adoption process, we recommend exercising extreme caution. Social media has changed the landscape of society forever, and the field of adoption is no different. Next time, we’ll look at a few considerations that you can take to foster a healthy relationship with the other family and your child during this information sharing era. A is 4 Adoption is here to help make adoption a positive, memorable experience for everyone involved. By offering comprehensive birth mother help and adoptive parent support, we’re able to improve on the standards set by your typical adoption agency in California. Unlike an adoption agency, our center works privately with parties to reduce the wait times and stress typically involved. Contact us today to learn more!